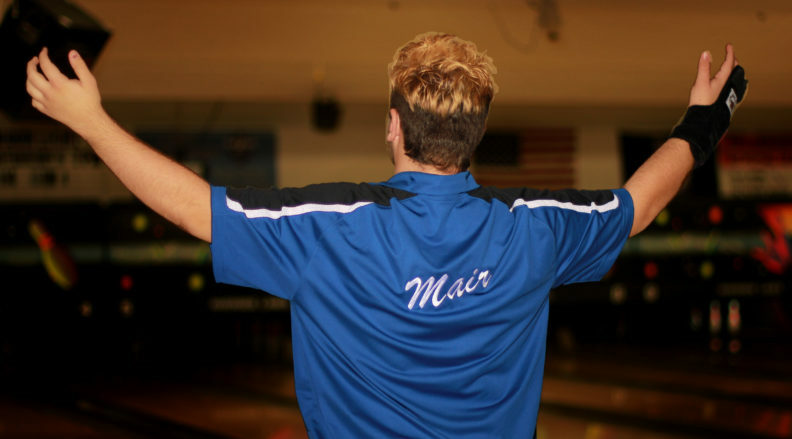 Washington State University math major Chance Mair started bowling at age five. And he must have been pretty good because four years later he entered a tournament, his first, as an alternate, and ended up winning the entire thing! Some people might chalk the victory up to luck, others might call it “chance,” but the fact is he loves and excels at bowling—and much more. 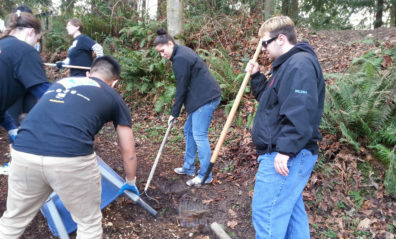 Chance hails from Marysville, Washington, and is a first-generation college student. He was on the high school bowling team all four years. 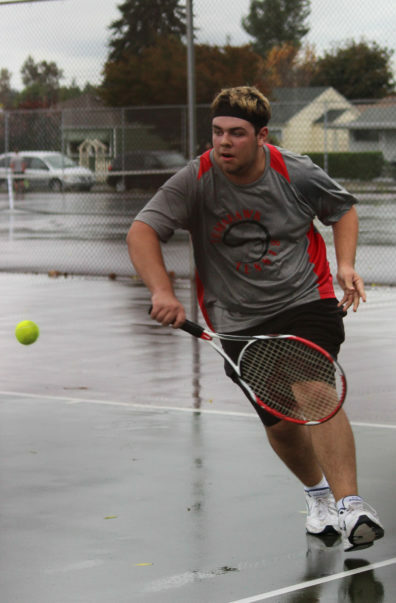 When he was a freshman, he asked a few teammates to join him at the Washington State Youth Open Tournament. They ended up taking first place and winning scholarship money. Junior year, they moved up to Division 2 in the Washington High School State Bowling Championships and won their first high school sports trophy for Most Inspirational Team. During Chance’s junior and senior years, he was named to the 2nd Team All-State and as a senior, Chance made team captain. The tour of WSU made Chance feel comfortable and excited. He decided WSU would be a university where he could achieve his goals, having set his sights on STEM education. Like many other freshmen, during his first year at WSU, Chance faced his share of obstacles, one of which included seeing his chemistry grade fall. 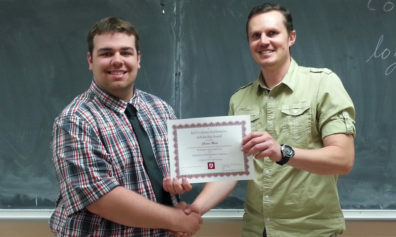 He said, “Even though I struggled in Chemistry 105, I learned a lot, including how to interact with the faculty.” Meeting with instructors enabled Chance to make sure he was understanding his assignments. “WSU instructors are approachable,” he said, “and easy to talk to.” Next semester Chance plans to double up on math courses to explore different branches of that field. Chance faced another disappointment freshman year when he fell ill right before the WSU bowling team tryouts and missed the cut by one spot. But instead of letting that “gutter ball” ruin his game, he focused his energy more tightly on academics. On their own, Chance’s accomplishments are impressive, but what makes them extraordinary is that early in life he was diagnosed with Asperger Syndrome. Recently, this condition has been included in a broader category called autism spectrum disorder (ASD). Doctors call Asperger’s a high-functioning type of ASD, meaning the symptoms may be less severe than previously thought. Chance’s first teacher, Carol Sherard, has been one of his biggest advocates. She’s followed his academic and sports careers, and they’ve kept in touch through email and his occasional visits to the elementary school. It was Carol who first realized Chance’s potential and saw he could achieve more than others had previously thought. Chance has received numerous scholarships, including the WSU Distinguished Regents Scholarship, Washington State Opportunity Scholarship, Marysville Rotary Scholarship, and Nellie Martin Carman Scholarship. In addition to his academic awards, Chance received a Washington State United States Bowling Congress “Joe Weber Scholarship,” Snohomish County United States Bowling Congress Male Bowler of the Year Scholarship, and Boeing Honors Freshman Scholarship. All of the combined support, he said, has allowed him to freely pursue his dreams. Chance wants his donors to know just how much their support has helped him and to make them proud. He’s well on his way to the latter goal. Besides being part of the Honors College, Chance is a regular on the WSU President’s Honor Roll and will soon serve as treasurer of the Math Club. This school year, he will again try out for the WSU Bowling team. Chance plans to attend graduate school and/or go into research, furthering his education in math and science to help discover new methods of diagnosing Autism-related symptoms. 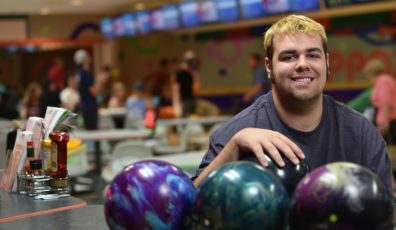 “As a student on the Autism Spectrum,” he said, “I like being a positive role model and setting an example of what can be accomplished through hard work, perseverance, and an ‘I’ll try anything’ attitude.” After completing his graduate degree, Chance plans to settle into his career, saving free time, of course, to compete on the Professional Bowlers’ Tour.